Not deterred by last week's shortcoming, our intrepid hosts end the show with another stab at Final Four predictions followed by the latest in the increasingly popular (?) #OddBets segment. All that, and more, packed into an hour(ish) of the best in sports bet podcasting. 1:04 - The hosts conduct an autopsy on Ryan’s awful bracket, break down last week’s March Madness games and discuss an early candidate for Baddest Beat of the Year™. 9:52 - Wraslin’ takes center stage as the hosts show greater ignorance than usual about Wrestlemania 35 – while Gambling.com contributor (and WWE superfan) Thom Cunningham explains what’s actually going on – and shares some betting tips for our fans in the U.K.
30:28 - Brant (tries) to chip into the program by sharing a "riveting" tale of the time he served Hulk Hogan a milkshake. 33:40 - Thom gives an... "angle" to watch at Wrestlmania, sharing the accolades of one of the sport's most acclaimed luminaries. 41:42 - #OddBet returns, with betting takes on (what is apparently) everyone's favorite resturant in the United Kingdom - KFC! 47:11 - Sign out with a special shout out to our new fan in Ukraine and another salute to our mejor amigo in Spain. Ryan Butler has spent more than 10 years covering sports, governments and the intersection between the two. 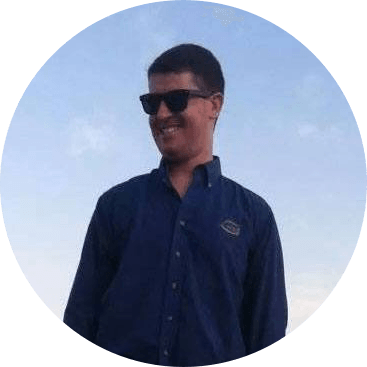 Starting out as a high school sports reporter, Ryan has led multiple online and print publications as a writer and editor. Along with amateur and professional sports, Ryan has covered local, state and national governments, including a stint reporting on Virginia’s congressional delegation. He now specializes in the changing legal gambling landscape in the U.S. in statehouses across the country as well as other gaming industry news. He talks about both sports and gambling as co-host of the Badder Beats podcast. His work has been published in the Tampa Bay Times and Gainesville Sun. Ryan graduated from the University of Florida with a B.S. in Journalism and a minor in sports management.